Life is Short. Get Muddy. Tuffbooks4Less is an 18-year-old premier channel partner for Panasonic, Getac , Durabook, Trimble and Xplore rugged portable PCs with one straightforward mission providing quality rugged mobile computers for less. Our rugged laptop computers and rugged mobile devices are ideal for professionals working in harsh, rugged environments that would quickly render common laptops useless. When you purchase from Tuffbooks4Less, our reconditioned Panasonic toughbooks perform as well as they did on day one. We uphold our mission to provide quality toughbooks at a lower price by carefully selecting our products, initiating innovative technical support services, and committing to customer satisfaction to customer satisfaction on all purchases. We also offer certified reconditioned Panasonic toughbooks that perform just as well today as they did on day one. 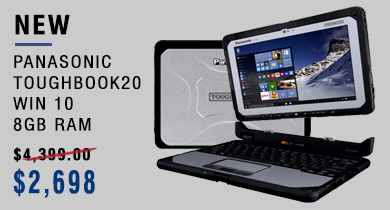 As a rugged and semi-rugged mobile device reseller featuring a revolutionary Panasonic toughbook trade-in program, we can save customers thousands of dollars purchasing new or refurbished toughbook laptops, tablets, and handheld personal computers . 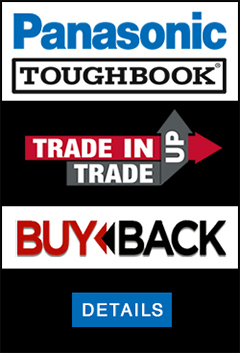 This program allows customers to trade in their toughbooks to receive store credit towards our large inventory of new Getac, Durabook, Trimble, Xplore (now called Zebra technologies), and certified refurbished Panasonic toughbook laptops. Our toughbook laptop computers for sale are certified and restored to factory standards. 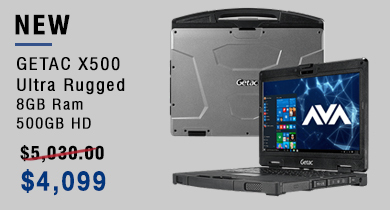 We offer a large inventory of new and certified refurbished rugged laptops for our customers to choose from. Our sales team can help point you in the right direction and answer questions on any model to meet your needs. Tuffbooks4Less is entirely dedicated to providing our customers with excellent services, products, and technical support on new or reconditioned rugged and semi rugged laptops, tablets, and mobile computing devices, including reconditioned Panasonic toughbooks.